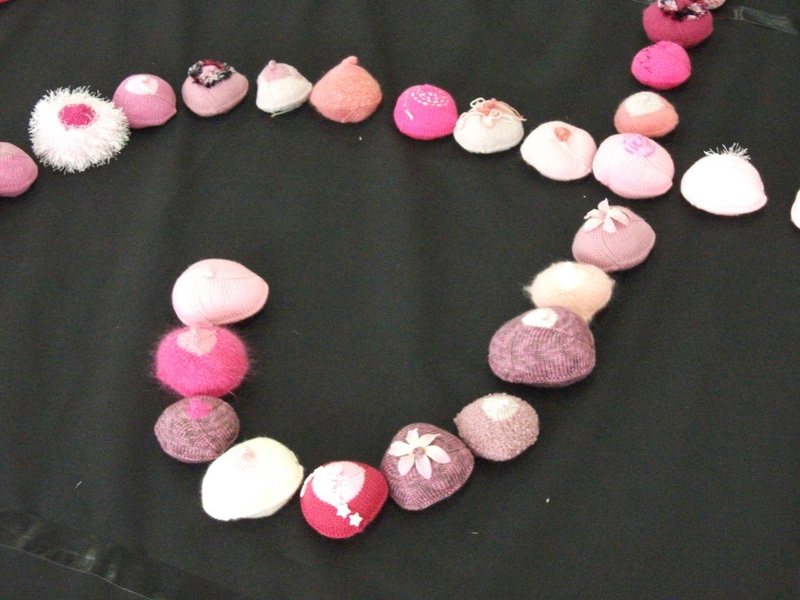 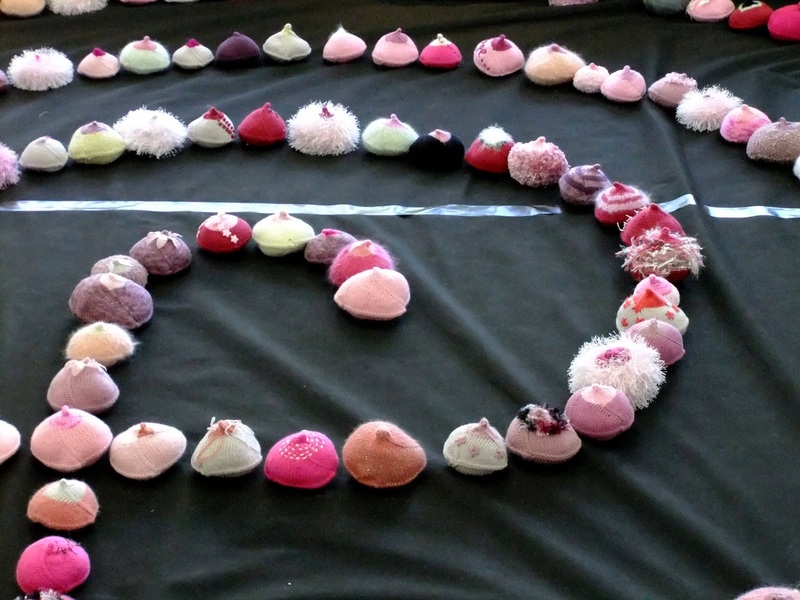 Early in 2009, I found a pattern on www.knitty.com for a knitted breast, designed by Beryl Tsang. 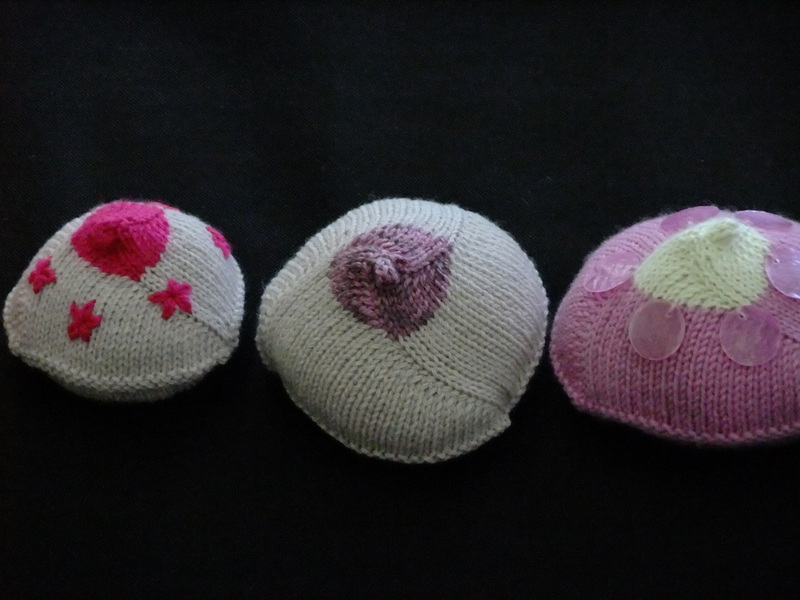 She had searched high and low for a breast prosthesis that was comfortable AND chic. 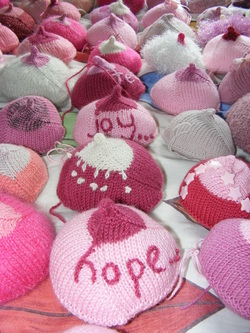 Failing miserably, she created her own from the yarn that filled her home. beryl shared this pattern on knitty.com. 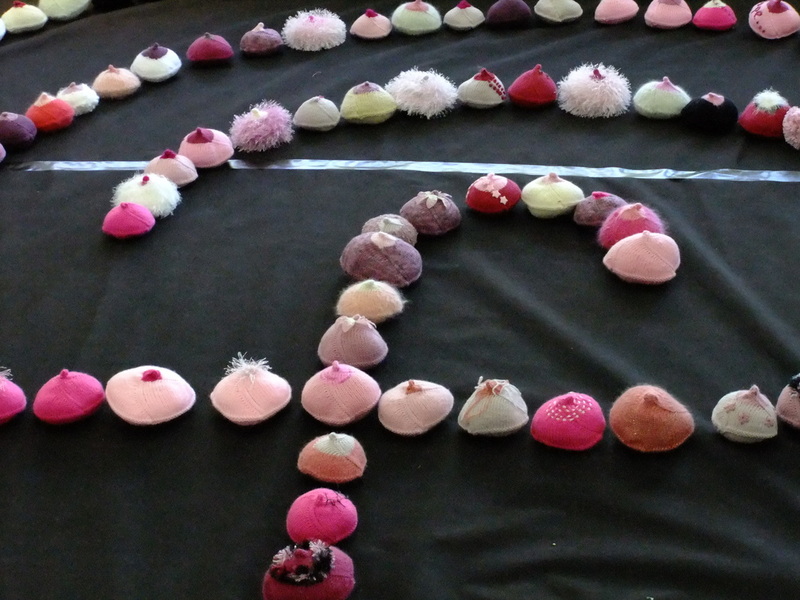 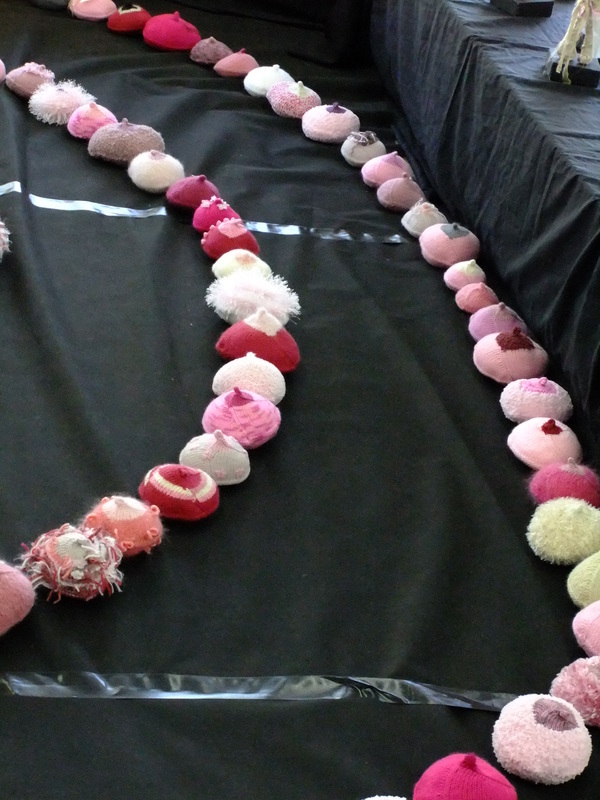 At first, I began creating the breasts as an opportunity to reflect and pray for all those who lived and died with breast cancer. 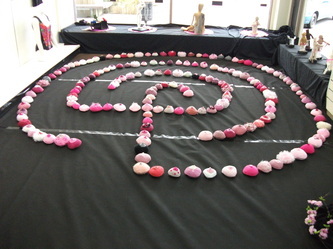 However, as my stockpile grew, linked with my fascination with labyrinths, I decided to create a three circuit labyrinth for an exhibition aimed at increasing awareness of breast cancer. 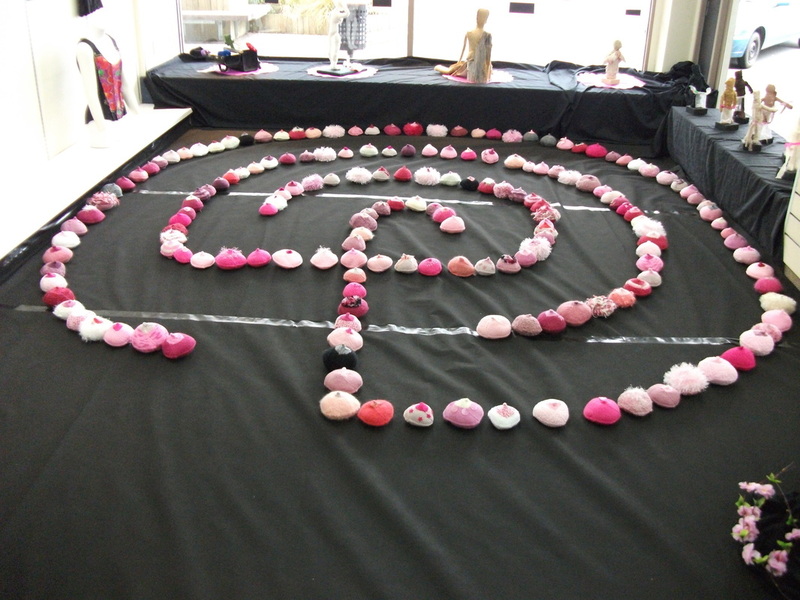 Barefoot, women mindfully walked to the centre and out again, bringing to mind, and naming, all those who live with breast cancer. transforming their pain into something that then transforms the lives of another. 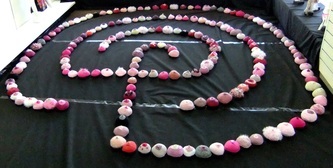 for survivors of a mastectomy. 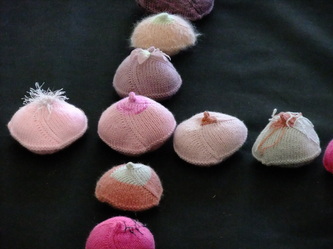 She is one of many who have benefited from Knitted Knockers.